You could find just about any type of person imaginable in New York City during Super Bowl weekend in the first weekend in February of this year. What with this country’s biggest sporting event merging with its biggest city, there was no shortage of questionable, charismatic or downright crazy characters. But walking those busy streets was nowhere near as shocking as sitting next to an Italian reporter inside a half-filled Madison Square Garden watching a mediocre Marquette team take on a sputtering St. John’s squad on Super Bowl Saturday. Why would this man, on assignment to cover the Broncos and Seahawks for the Italian newspaper Gazzetta dello Sport, bother to watch pretty poor basketball? Massimo Oriani knew nothing about Marquette and very little about Big East basketball in general. But he knew Diener and he wanted to know more about the program that produced him. Travis ingratiated himself with Italians to such an extent that he was able to represent them in the Eurobasket 2013 after obtaining Italian citizenship through his wife’s family. Heck, if my Italian serves me right, with a little help from Google translate, they are even planning on keeping the No. 12 Diener wore with his club Dinamo Sassari off limits. It’s not simply for Diener, as there was a mix up with a previous retirement of that number, but his 1,500 points and MVP award only bolstered the case that the No. 12 should not be worn. 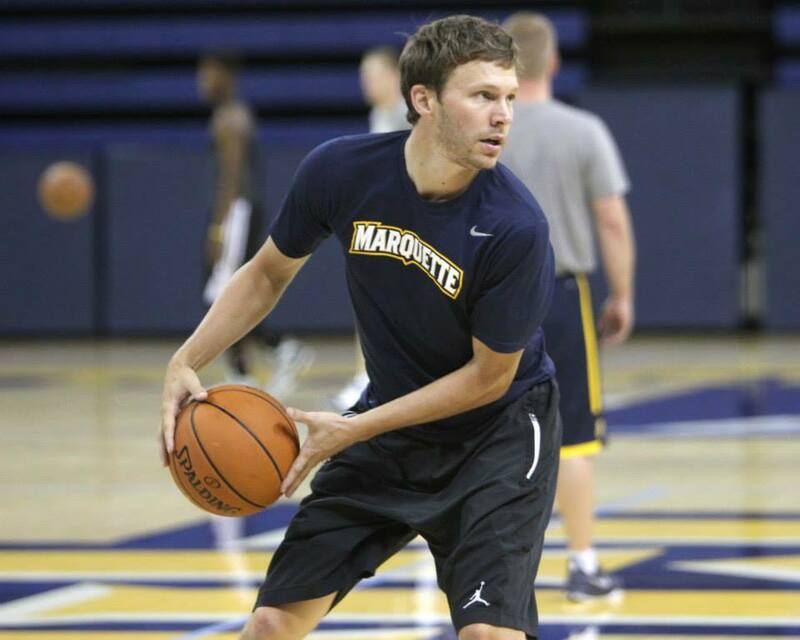 Diener has hung up his sneakers for good, taking the plunge onto the other side of the court, becoming director of basketball operations at Marquette. A simple congratulatory text to newly minted head coach Steve Wojciechowski morphed into something much bigger, he told the Journal Sentinel, when he was unexpectedly offered a position on staff. 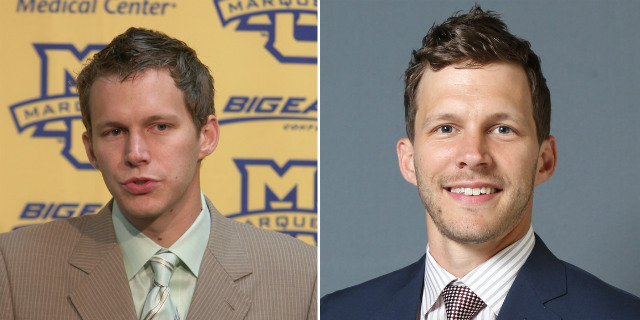 At only 32 years old, Diener was ready to follow the coaching family footsteps. Sort of. The qualities that made Diener so beloved at both Marquette and Dinamo will serve to propel him to the next stage of his career. As director of basketball operations, Diener is expressly forbidden from recruiting and being on the court during practices. Instead he will tasked with maintaining relationships with the players and doing work behind the scenes. More importantly, he will be Wojciechowski’s bridge to the past. While the Buzz Williams administration did have past players coming back to workout in the Al and speak to players at times, there wasn’t a concerted effort to keep them as part of the current program. More importantly, the reaching out was almost always limited to players who had played for Buzz. Think of Lazar Hayward coming back for life lessons or Jimmy Butler hanging around campus. According to Diener, Wojo is thinking bigger. Talk can be cheap, particularly from a new coach on his honeymoon period ingratiating himself to his new environment. Wojo’s actions, however, are speaking loud and clear. He’s spoken at Bo Ellis’ golf outing, hosted a myriad of former players during the annual Marquette BBQ and most visibly, hosted a mini camp of former players that currently play professionally. (We will have an in-depth story on this later this week). Don’t just take Diener’s word for it, either. Paint Touches reached out to former player Dan Fitzgerald, who had nothing but praise for the current administration. The school, not just the program, has undergone a bit of a facelift. Although Diener had family in the area, he didn’t get many chances to visit campus when he was back in town the last few years. Inside the Al, the relatively new building has seen lots of work this summer with a renovation of Kasten Gym and the locker rooms as well. And while Diener did get a chance to use it during his playing days, the way it is being used has greatly improved. 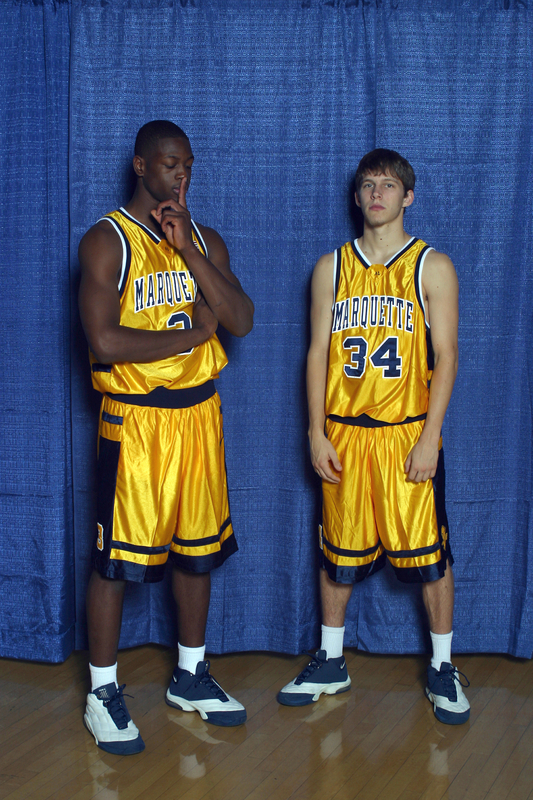 Through all that change, the Marquette name has stayed the same. That is the message Diener has been charged with spreading. Though he says he will miss the laid back nature of extra long meals in Italy, he is excited to be close to family and transition into full-time coach mode with all the extra responsibility that entails. For now, Diener is a liaison from the past to the present. A damn good one at that. It’s great Wojo is reaching out to past players. It’s something he’s done exceptionally well. But let’s not change the facts about Buzz. He and his staff constantly reached out to former MU players and had almost every living ex-player on campus at one time or another during his six years at school. I know of many ex players who were able to attend practice/games. Diener himself came back at one point to speak to one of Buzz’s youth camps. Novak was constantly around. Having Lazar and Jimmy come back to speak was a huge positive. Wojo has done a great job and will continue to do so, but to be accurate, Buzz and his entire staff had done quite a bit with the former players that he did not coach. Just ask guys like Grimm, Fitzgerald, Chapman, Blackledge, Kinsella, Jackson, Merritt and others who came in and worked his summer camps. And then there is the Basketball Alumni Reception that occurs before the BBQ – Buzz started that too, complete with the Alumni free throw contest by decade. Buzz Williams and his staff brought many of the older alums back into the fold, here’s to hoping that Wojo continues the tradition and takes it to a whole new level.